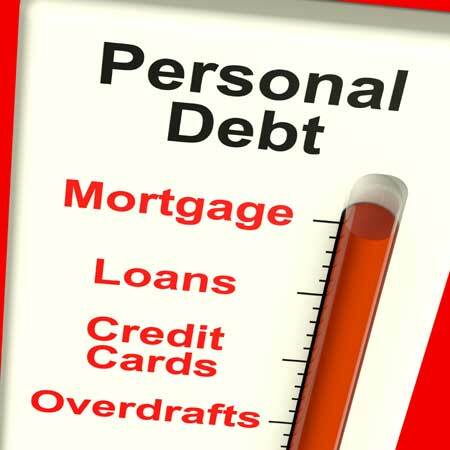 Personal debt problems can creep up on anyone and all-too easily slide quickly out of control unless action is taken turn things around. Whatever the reasons might be behind a personal financial crisis, only an acceptance of the realities of a situation and a determination to take positive steps will ever provide the basis for recovery. To some extent, trends in the context of personal debt problems are driven by broad economic factors and, in the UK, the financial crisis saw many thousands of people suddenly unable to stay in control of their debts. In more recent years, trends in terms of personal insolvency rates have been heading downwards but the various forms of debt solutions available continue to perform important functions as mechanisms for turning around perilous financial situations. In Scotland, the range of personal debt solutions vary from others offered in the UK and elsewhere in Europe. Here’s a rundown of how the process of personal insolvency and debt management is approached ‘north of the border’. In Scotland, the means of addressing the most serious of personal debt problems is referred to as ‘sequestration’, which is essentially a form of bankruptcy that involves the transfer of the entirety of an individual’s assets to a trustee. The trustee is then obliged to raise what value they can from those assets and to repay creditors to the greatest extent possible. Sequestration has serious consequences for anyone entering into it as a declaration of insolvency because it involves the transfer of assets and it can significantly damage individual credit ratings. However, where personal debt problems have reached a point at which all other options are off the table, entering sequestration can come as a huge relief. Entering sequestration and working with an appointed trustee also grants an indebted individual legal protections from their creditors, which can often be a crucial step towards eventual debt recovery. Rather than Individual Voluntary Arrangements (IVAs) as are offered in England and Wales, in Scotland we offer what are called Trust Deeds to borrowers who decide to voluntarily enter insolvency. The process is designed to offer some relief to individuals who have found themselves unable to cope with the pressures of fending off creditors. A key advantage of Trust Deeds is that they offer indebted Scots the chance to see some of their arrears written off after a period of paying back amounts owed as fully as possible. As with sequestration, entering a Trust Deed offers legal protections to debtors and gives them an important opportunity to start turning the tide and recovering from serious financial difficulties. A less serious but nonetheless important form of debt solution available to individuals in Scotland are Debt Arrangement Schemes (DAS), which are designed to establish binding terms of repayments for borrowers who remain solvent but are struggling to repay creditors. Central to the effectiveness of DAS are Debt Payment Programs, which outline the terms of a repayment deal and provide valuable clarity to both creditors and debtors. Where the terms of a DAS are not adhered to by debtors, there is scope for entrants to find themselves faced with having to enter a Trust Deed or sequestration, which can have more serious consequences in terms of credit ratings and loss of assets. However, where the terms of a deal hold, a DAS offers individuals a good chance to start turning their finances around before they reach a point of outright insolvency. Regardless of the circumstances and the scale of individual debt management problems, it’s vital for debtors in Scotland or anywhere else to be aware that there are solutions available to help. No situation is impossible to turn around with the right advice and support. The key is often reaching out and getting the guidance required to begin the process of recovery without avoiding the issues or hoping they might somehow resolve themselves.